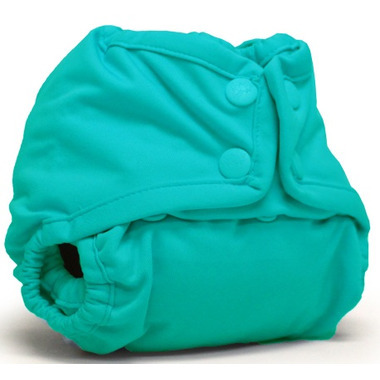 Bought 2 NB sizes so we can start cloth diapering our baby from the get go. They snap down to be very tiny so I think they should work great. I can't give a full 5 starts until I have tested them out but so far they look great. I will review again once baby arrives! We use both prefolds and fitteds. I love the feel of the fabric and TPU. I've had no leak issues from the legs or waist, but I have had leaks in the back where the logo is sewn. Have been able to avoid by adding more absorbency, but then it feels quite bulky on my slim baby. These are not the first covers in my stash that I reach for, which is a shame because I want to love them.